In June of 2009, 95-year-old Emma Gray died. For over two decades, she had been the cleaning lady in a big house. Each night as she did her work, she prayed for blessings, wisdom, and safety for the man she worked for. Although Emma worked in the same place for 24 years, the occupants of the residence changed every four years or so. Over the years, Emma offered her nightly prayers for six US Presidents: Eisenhower, Kennedy, Johnson, Nixon, Ford and Carter. 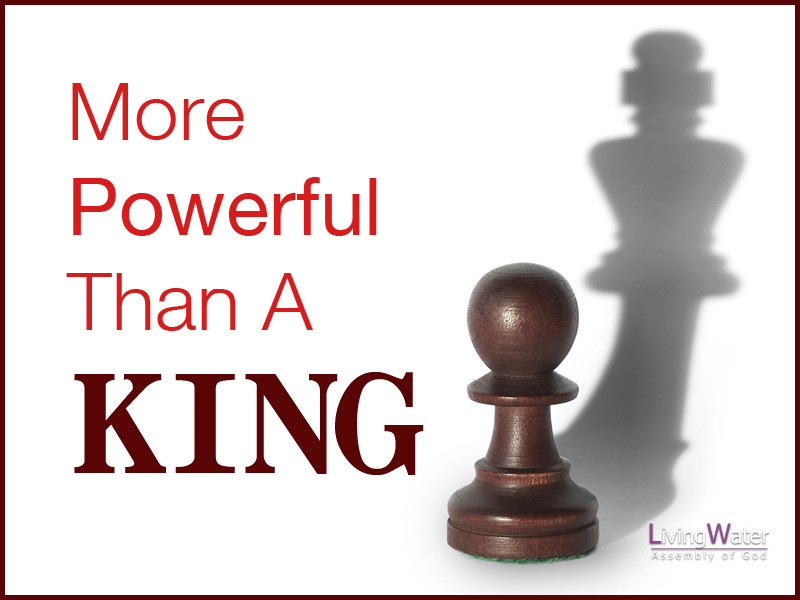 The question for us today is…are we a well placed pawn? I believe Emma was a well placed pawn. When we were young children and we daydreamed, did we dream of being the pawn, the prince or princess, the king or queen. Didn’t we daydream of being the big hero, the one who wins, the leader? We don’t dream about being the one no one notices, the person behind the scenes. Is our personal ambition more important than being used by God? My goal in ministry has been that I would be less and the people would be more…I don’t want to be famous or well-known, I just want to be found faithful to His call. Like Emma, we are to pray for others—leaders, parents, bosses, co-workers, etc. Is there someone God is calling you to pray for today? The Lord will have His way. The level of peace, (or the ability to live “a quiet and peaceable life”) is directly related to our ability and willingness to make supplication, to pray, to intercede and give thanks for others. To influence people for God, intercede with God for people!